Community features pool, playground, walking trails and more! MLS#21618169. HMS Real Estate, LLC. Convenient to all Greenfield has to offer including a quaint downtown, shopping, dining, parks, interstates and much more! See this one today! MLS#21618187. HMS Real Estate, LLC. Meadow At Springhurst - The private owners' suite sits on its own level & features a walk in closet & upgraded owners bath w/tile shower & separate tub. MLS#21618016. HMS Real Estate, LLC. Keystone - 3 car garage & storage space galore. BIGGER is BETTER! MLS#21614635. F.C. Tucker Company. What more could you need? Don't miss this opportunity! MLS#21617465. Front Porch Real Estate, LLC. Home has an unfinished, stamped, poured concrete, dry basement with unlimited options. (G-CON) MLS#21617066. CENTURY 21 Wilson & Associates. Winfield Park - New paint, carpet. Roof 6 years old. MLS#21616917. F.C. Tucker Company. Every Meadows - You can't miss your chance to own this beautiful country home on a large lot! MLS#21616767. Highgarden Real Estate. 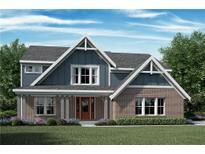 Copeland Farms - This one is a must see! ! MLS#21615910. Wright, REALTORS®. Keystone - Close to schools, shopping, restaurants and hospital. Short commute to Indy! MLS#21615677. Carpenter, REALTORS®. 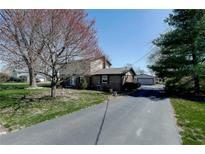 Sawmill - This quiet neighborhood is in a great community and this home won't last! MLS#21614951. Hemrick Property Group Inc..
Brandywine Heights - Additional features: 2-story foyer, decorative pond at entrance, no hoa, all major stainless steel kitchen appliances stay, washer/dryer stay MLS#21614660. HomeXpert, Ray Stuck & Co..
Oak Highlands - There is a wash sink in the garage as well as an additional plug in for a stove...you don't want to heat the house up if you are canning! 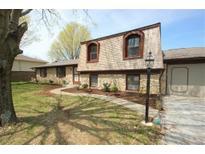 Easy Show MLS#21613386. CENTURY 21 Wilson & Associates. Many successful businesses have flourished in the commercial building previously in years past. MLS#21612799. RE/MAX Realty Group. 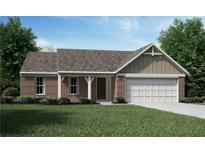 Valley Brook Village - Truly move in ready! Don't miss this one! MLS#21612132. Gloria Jean Andrus. Move in and get ready for summer and swimming! MLS#21610710. RCA Realty, Inc..
Great opportunity just waiting on your personal touch! MLS#21611689. RE/MAX Realty Group. A must see for all the possibilities. MLS#21611267. Berkshire Hathaway Home. home was recently foreclosed and is investor owned, property is in need of paint and repair. Lots and lots of potential. MLS#21611230. 101 Realty Group, LLC. The 11 acres with woods and pond create the perfect setting for entertaining or simply enjoying your own tranquil environment. MLS#21608771. Berkshire Hathaway Home. 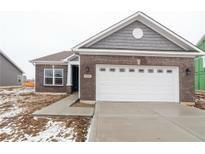 Move in ready with the convenience of near by shopping, easy access to interstate I 70. MLS#21609603. Rhodes Realty, LLC. Chandler - Two bedrooms do not have closets. (G-ROC) MLS#21609713. CENTURY 21 Wilson & Associates. Valley Brook Village - Finished garage has a heated workshop space and storage area. New stainless steel appliance, washer, & dryer. MLS#21609153. Berkshire Hathaway Home. 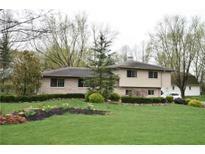 Don't miss the chance to see this home and it's 2.64 acres! MLS#21608166. RE/MAX Realty Group. 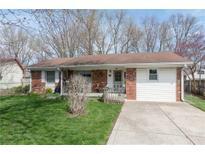 Sugar Creek Valley Estates - Freshly painted, and move in ready! MLS#21608467. RE/MAX Realty Group.